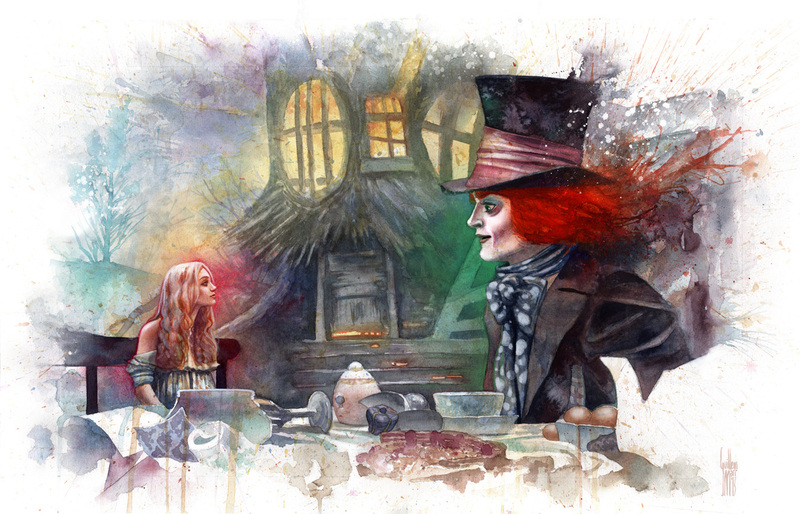 · The Mad Hatter: Have I gone mad? · Alice: I’m afraid so. You’re entirely bonkers. But I’ll tell you a secret. All the best people are. Watercolor, acrylic & pastel on watercolor paper. Acuarela, acrílico y pastel sobre papel de acuarela. One of the best Mad Hatters I’ve ever seen. Bravo!